For a man who has been both praised and condemned for his “luck”, you have to spot the irony: President Goodluck Jonathan is calling on the youth to depend on education and not luck as an insurance for their future success. The president said this at the inauguration of the Jigawa State Academy for the Gifted at Bamaina in Birnin-Kudu. “Some journalist used to ask me about luck and I told them that as much as there is luck, education is the major determinant of success. 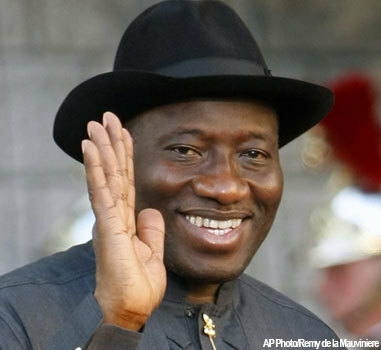 I could not have been where I am today if I am not educated,” Jonathan said. “You have to prepare yourself,” he added. He reportedly expressed his delight at governor Sule Lamido’s efforts at promoting peaceful co-existence, and also gave kudos to him for his strides at improving the quality of education in the state. Jonathan said, “I am happy that Governor Lamido has decided to invest in the future of our children by identifying those with gift and training them. In his response, Lamido said his vision for establishing the school is to develop manpower that will transform Jigawa state in the future. The president, who is on a 2-day visit to the state is expected to lay the foundation for an airport estimated at N5bn in Dutse, the state capital.